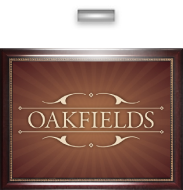 Oakfields is a premium residential development in the iconic North Canterbury town of Amberley, situated approximately 30 minutes from the outskirts of Christchurch and 40 minutes from Christchurch International Airport. The subdivision is fully serviced with the same infrastructure as you would expect in a city, yet all of the wonderful country village attributes are still intact. The emphasis is on quality living, with all of the amenities, community support and infrastructure that you would expect from a 150 year old town plus some. Brackenfields Shopping Centre is open and offers a varied array of retail outlets and includes a Countdown supermarket. Oakfields and Brackenfields have been designed in tandem, and a walking link directly to the shopping centre through Oakfields provides convenience beyond compare. From Brackenfields you can walk to other town amenities which already exist including the state of art District Library, Post Office, cafes including the iconic Nor’ Wester, plus a huge variety of gift and clothing boutiques, and the medical centre which is located in Stage 1 of Oakfields. Views are paramount since it would be sacrilege to block out the wonderful outlook to The Teviotdale Hills, Mount Grey and the Mountains to the west and north. 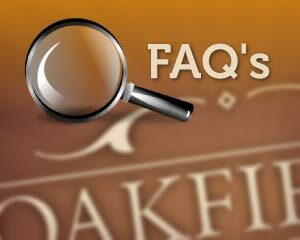 For this reason many of the sections have green space strategically placed so that you can’t get completely built out and that when you walk, cycle or drive through Oakfields there is a sense of space and ambience befitting a country village environment. Take a tour of this website and check out the various feature and benefits which come with a lifestyle choice which many are choosing in preference to cramped living in dormitory towns or city living. We believe this is New Zealand living as it should be.